This years pancakes are a little different that normal. I will admit that it did take me quite a few goes to get them just right, but I did do it! 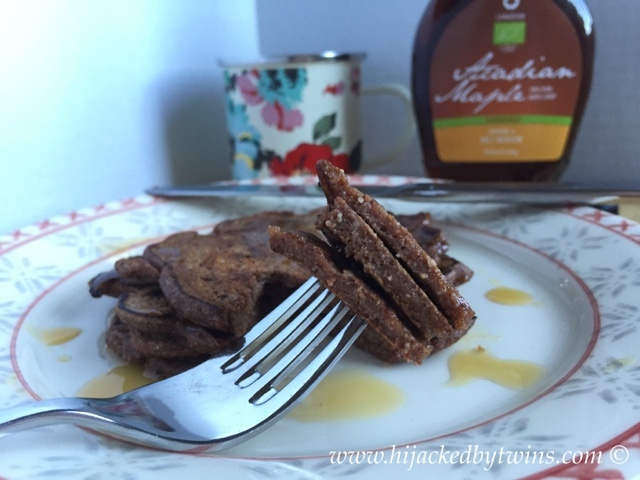 These pancakes are not only vegan but are also gluten free and so delicious! These pancakes are simply scuptious. 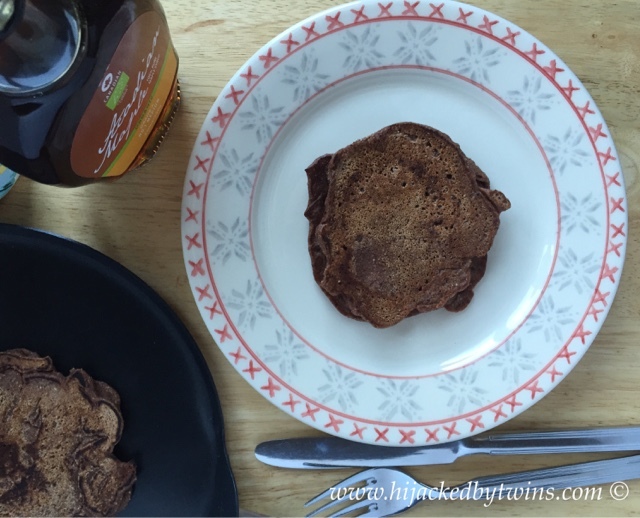 The nutty chestnut flour combined perfectly with the raw cacao. 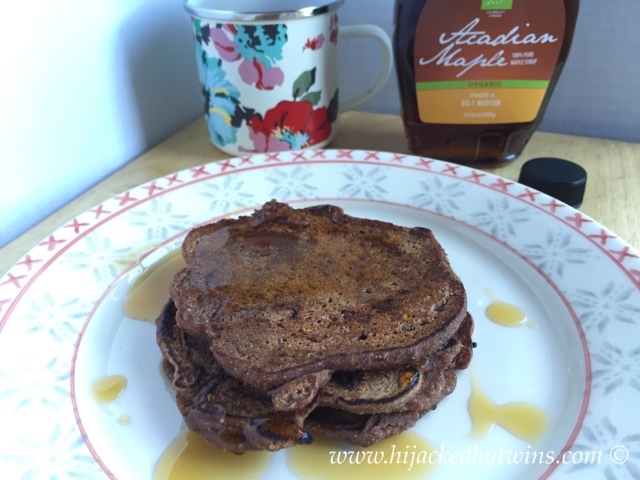 With the finishing drizzle of maple syrup they really are a delicious and healthy pancake! If you would like a crepe pan, as pictured above, ProCook are offering Hijacked By Twins a chance to win on. Visit my giveaway to enter! 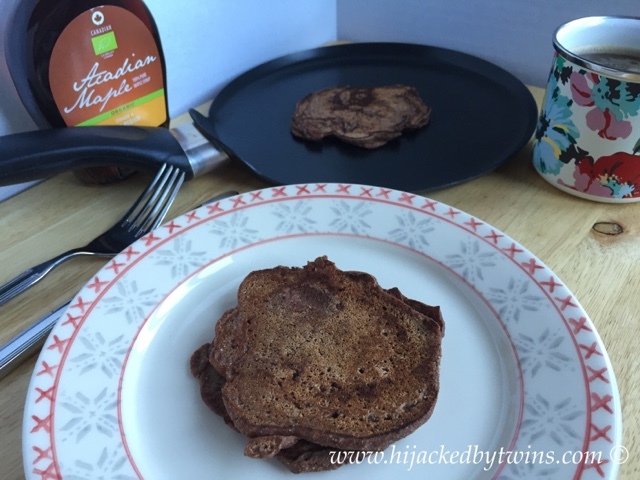 These are pretty unusual pancakes but so healthy! I didn't even know chestnut flour existed! Do you think that can be replaced with maybe buckwheat flour? 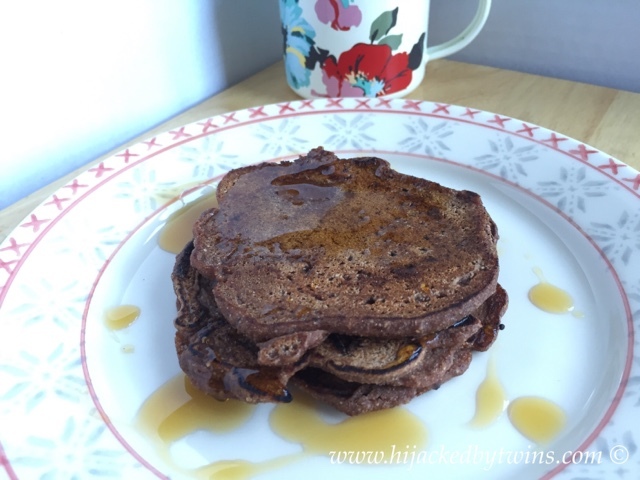 I love the idea of using chestnut flour and cocao, it sounds simply delicious and much healthier than the ones I cooked up yesterday!